The Cayenne Chili originates from South America and belongs to the species Capsicum annuum. Dried and ground it is commonly also called Cayenne pepper, although it is a chili (Capsicum) and no pepper (Piper). It is one of the most widespread chillies in the world. 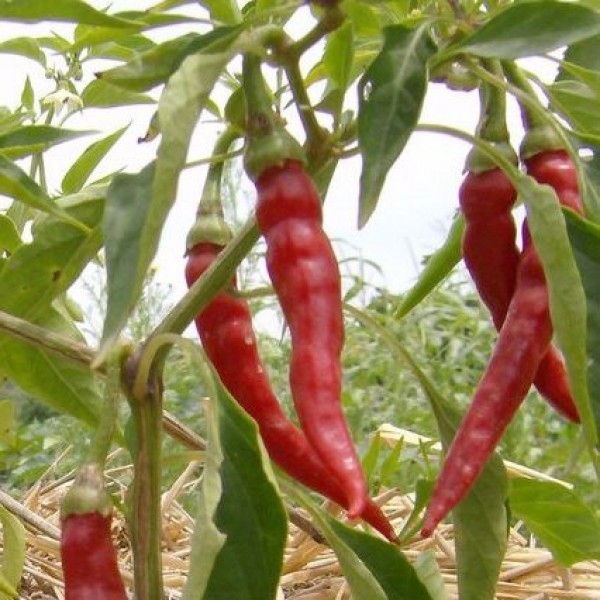 Characteristic of the Cayenne chili are its bright red colour, its biting spiciness and a light smoky flavour, which is essential in the cajun cuisine, e.g. for dishes like Gumbo and Jamalaya. Crushed Cayenne chillies give pizzas, kebabs or other dishes a special pep.